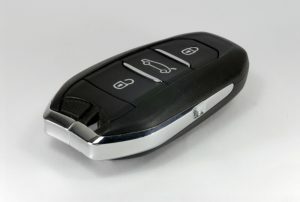 Many of the new cars on the market today don’t come with keys, you are simply handed a key fob and sent on your way. The physical key you used to get when purchasing a car is starting to go away in favor of keyless ignitions. The fob you get not only opens your car door, it also holds the ability to start your car, even while you are sitting in your living room watching the news. That is just one upside to keyless cars. Another benefit of having a keyless car is they are harder to steal. No matter how many wires a thief pulls, strips and splices, if the car is not receiving the right code from the remote, the engine simply won’t start. There are some systems so smart that it will disable the ignition circuit if someone tries to circumvent it. Keyless ignition systems are also very convenient. Think about it, no more fumbling around in your purse or pocket to find a key and no more standing in the cold rain fumbling around with a key to open your door. There are downsides to having a keyless system as well. First, there is the price, which is likely hidden in the price of the car itself. Also, if you lose the fob, you will have to call your Atlanta locksmith to help you gain entry into your car. But this is a small price to have to pay and the benefits here certainly outweigh the cons of owning a car with a keyless entry system.